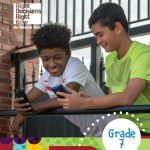 Since the types of decisions students make change as they mature, this activity reviews the six steps outlined in the previous grades and has students evaluate three decisions they made recently so that they can assess their own decision-making style. 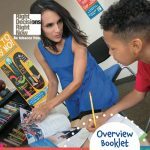 (See the Overview Booklet for additional information about decision making that you can share with your students.) Students will also have the opportunity to make decisions about two hypothetical situations in a “Choices and Consequences” type of activity in the “You Decide!” section of the exercise. The “You Decide!” material is designed to be presented on an interactive whiteboard; alternately, students may complete this section in pairs or small groups. Ask for volunteers to share their process with the class. In the discussion, get them to talk about whether they went through all the steps involved, whether they focused on some steps more than others, what sorts of factors influenced their decisions, and how/if stress plays a role in decision making. Also ask them to describe how they felt about the decisions they ultimately made. Let students know that it can be helpful to know how we make decisions so that we can make the right decisions for ourselves. Present the “You Decide!” section of the activity on an interactive whiteboard, or have students complete it in pairs or groups. Tell students that in this case, if they make a poor decision, they’ll have the opportunity to go back to the beginning and start over—but that doesn’t always happen in real life. If you present this section on a whiteboard, ask students questions about their choices and decisions as they make them. If students complete the exercise in pairs or groups, reconvene when they’ve finished to go over the students’ choices and decisions. Encourage students to keep in mind the importance of evaluating options and consequences before they make a decision since they will have to deal with the results of their decisions—both the positive and the negative. Use the supplemental “Surprise Chat” video to complement this activity.